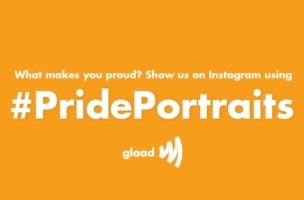 The Gay & Lesbian Alliance Against Defamation and Instagram joined forces on photo campaign #PridePortraits, in which users of the Facebook-owned photo- and video-sharing network are encouraged to post photos of what LGBT (lesbian, gay, bisexual, and transgender) pride means to them. Three winners will also be selected to receive behind-the-scenes access at NYC Pride, which kicks off Monday, including exclusive access to the Dance on the Pier concert, featuring Demi Lovato. In addition to NYC Pride, the #PridePortraits initiative coincides with the 45th anniversary of the historic Stonewall riots. Instagram is a place for people to share beautiful and powerful moments. That is why we are thrilled to support GLAAD on some great projects for LGBT pride this year. Images of loving LGBT families are at the heart of support for equality. Social media is an especially powerful driving force for sharing stories, particularly those that change hearts and minds. As we mark the 45th anniversary of the historic Stonewall riots, GLAAD is thrilled to join Instagram in bringing #PridePortraits to millions of users across the globe as we unite to celebrate LGBT Pride. The 2014 NYC Pride theme of “We Have Won When We’re One” rings true with #PridePortraits, which reflects the unity of the LGBT community and its allies. Whether you are sharing these experiences with us in the heart of New York City or showing your pride on Instagram, together we are sending the message that love is louder than hate.